Have you ever thought about how much money you would save if your house stayed cooler or hotter in the winter just from replacing your windows? Nope, I did not either until I started working for Roy and Eco Home Solutions. He can help you save so much money with some simple changes to your windows and patio cover. He also does gutters and siding. 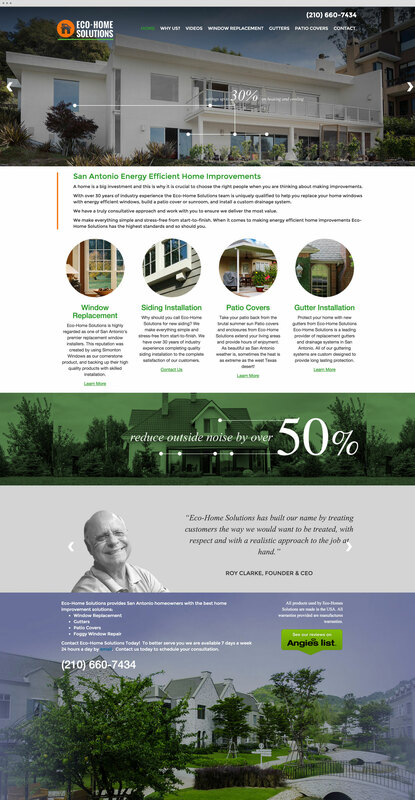 Roy needed a site that was clean and easy to use. It is super mobile friendly and built with WordPress that will allow him to make changes. If you want to work with good people that provide a great service, call Roy today.